The governor had in a video, which went viral, reportedly endorsed Buhari during the public presentation of a book to commemorate the 80th birthday of a former governor of Akwa Ibom State, Obong Victor Attah, despite having Gen. John Gbor (retd). as APGA’s presidential candidate for the 2019 presidential poll. 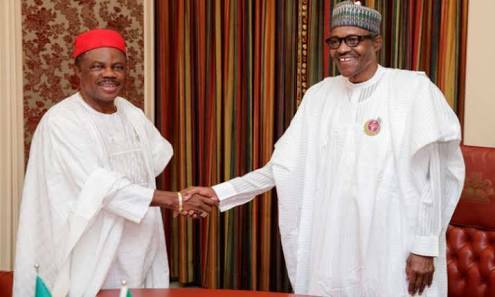 Hey Buddy!, I found this information for you: "Obiano Asked to Resign by APGA Faction for Endorsing Buhari". Here is the website link: https://headlinenews365.com/obiano-asked-to-resign-by-apga-faction-for-endorsing-buhari/. Thank you.